You’ll enjoy making these puzzles and giving them as gifts. Our full-size plan gives you five different sizes, from the 4” size with 21 pieces to the 11 1/2” size with 65 pieces. 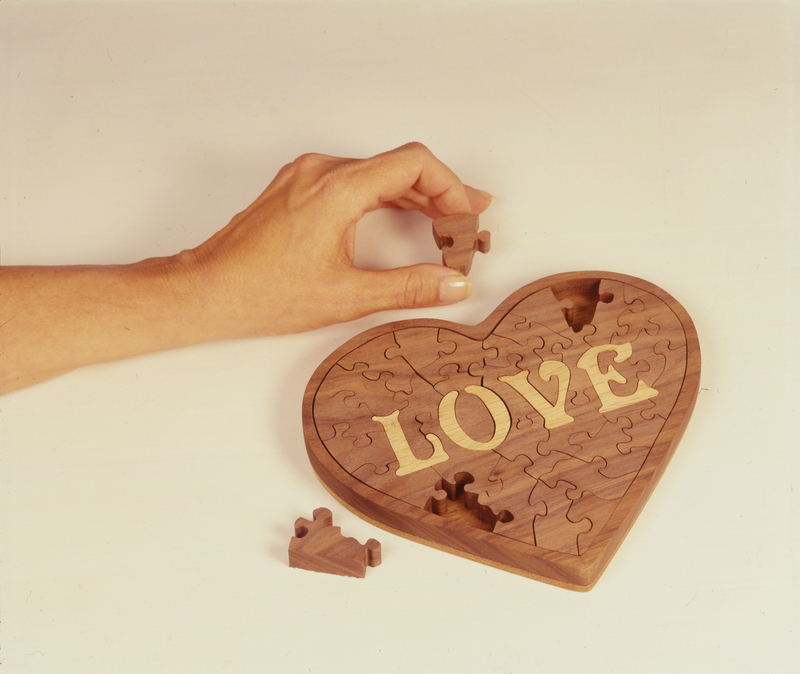 It’s easy to make these framed puzzles—we even show you how to scrollsaw two puzzles at once. An added bonus of this technique is the ease of making the letters in contrasting wood. This is a great gift for Valentine’s Day, Christmas, birthdays, or even as a special surprise.